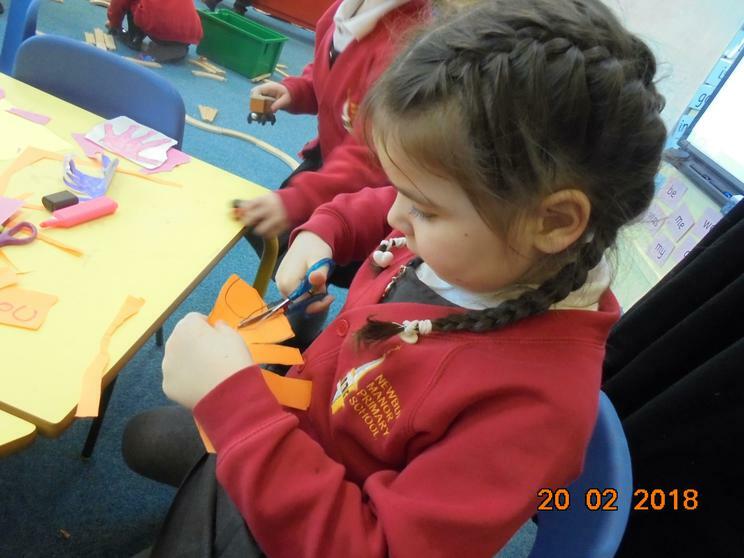 During this last week we have been thinking about how and why we celebrate Easter, children have worked at home to make Easter hats and decorated eggs and in the class we have made Easter nests. 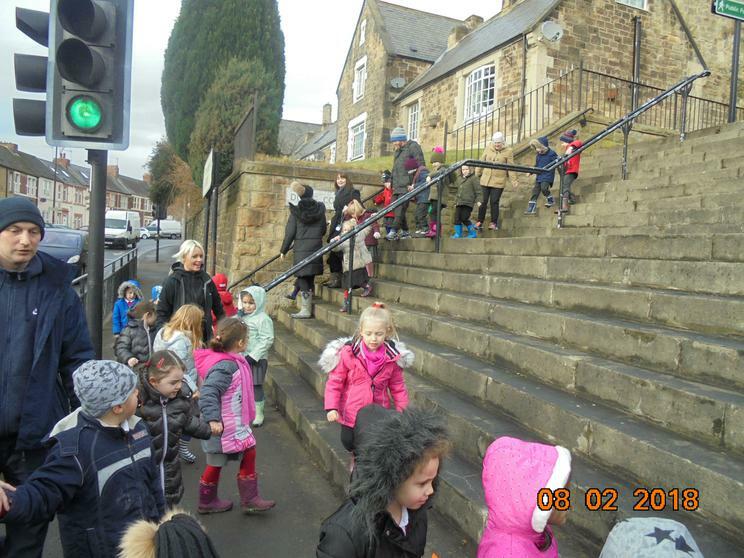 On Thursday we went on a trip to the Great North Museum (Hancock) to watch the Sun, Moon and Earth show at the planetarium and to complete a scavenger hunt around the galleries. 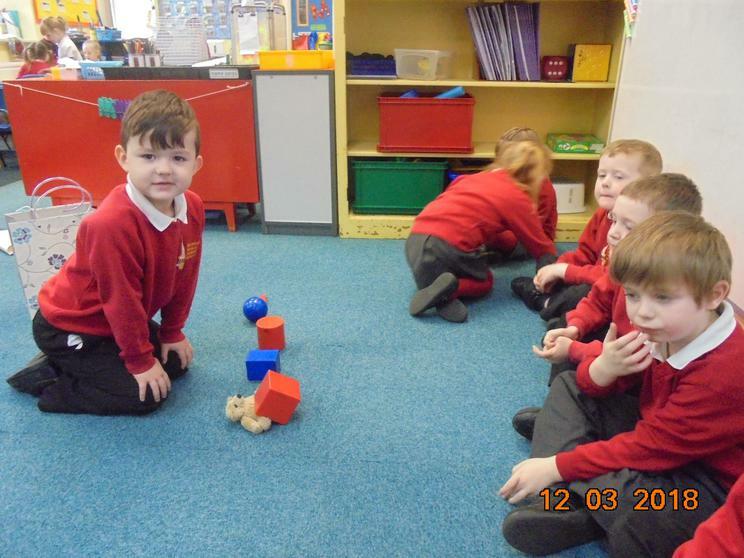 For the past two weeks we have been going 3D shape crazy, we have been on shape hunts, sorted shapes, tested their rolling properties, built towers and given positional instructions using 3D shapes and Tiny Ted! 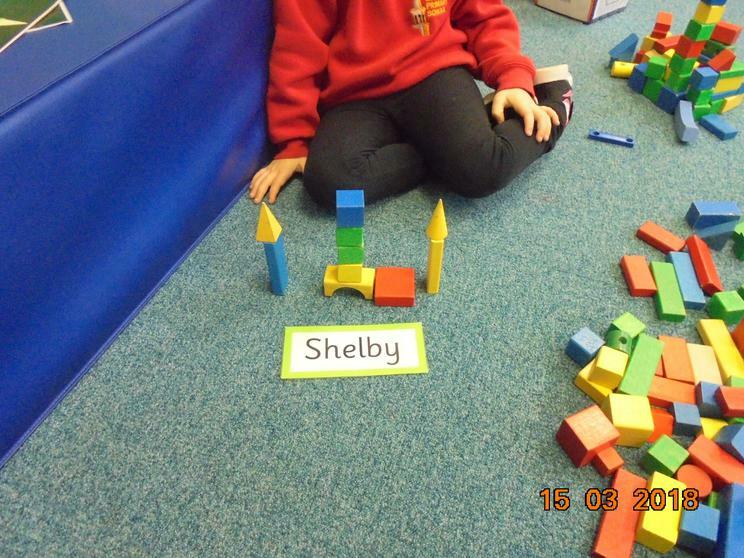 We are learning to use their names, sphere, cube, cubiod, cylinder, pyramid and triangular based prism, as well as talking about them, faces, corners, edges and points. 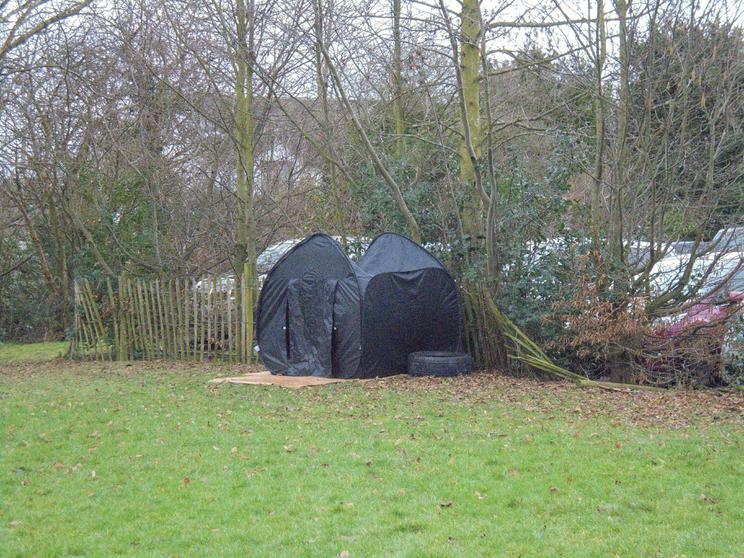 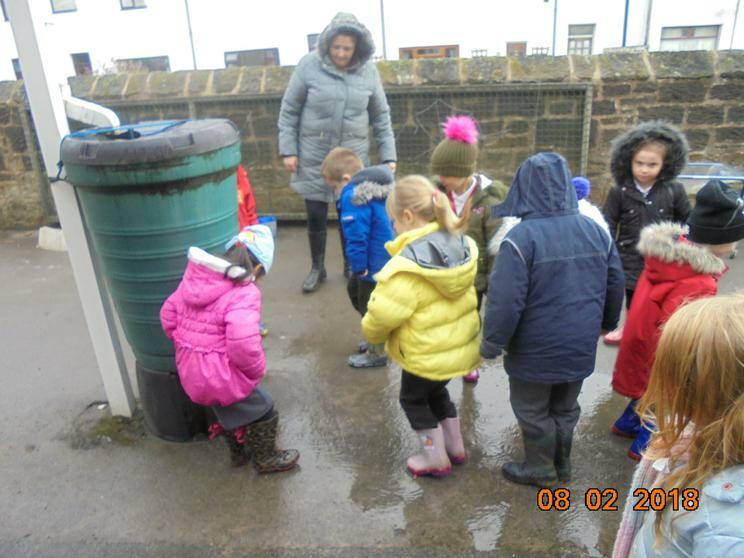 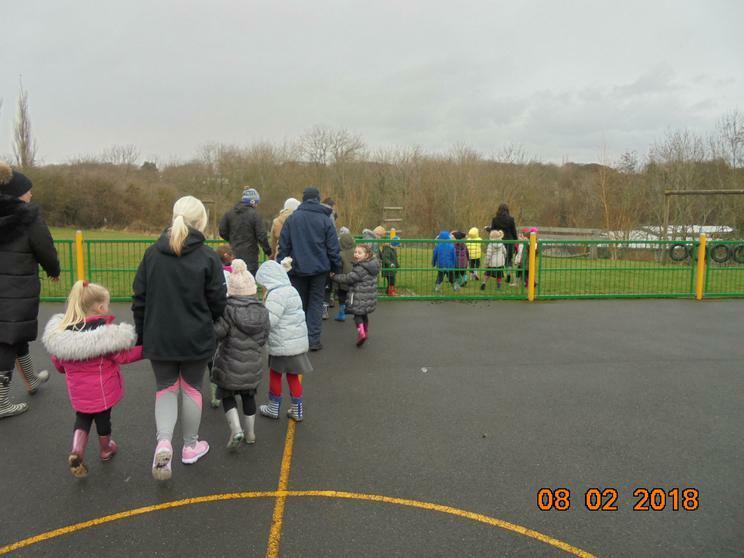 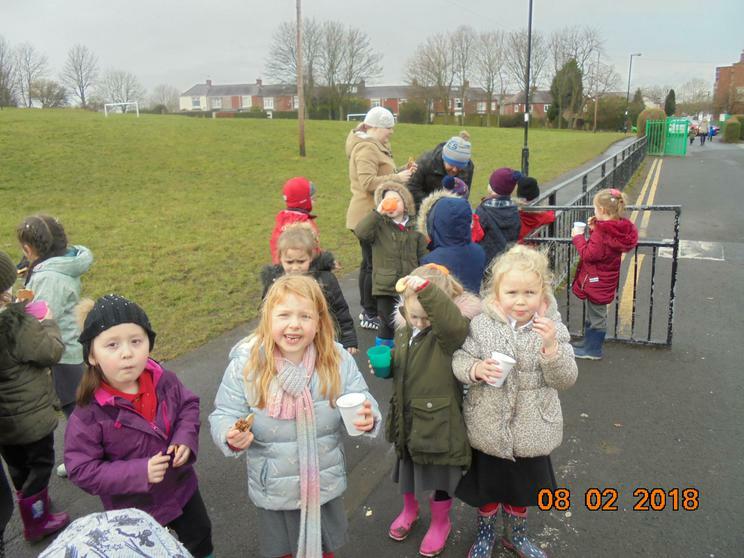 Whilst half of our class were at Forest School the rest of us took up the challenge to move the sparkly space water from one end of the MUGA as far as we could, using drain pipes and various building materials. 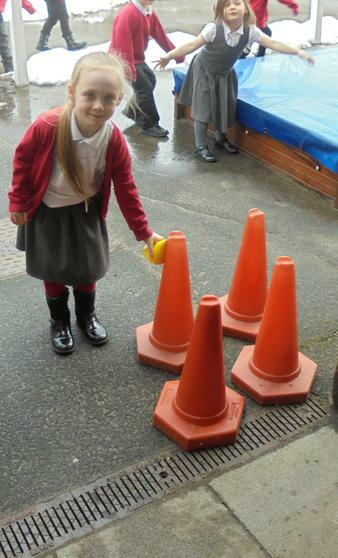 We had to modify our design as we tested it and found out how the water flowed, building bigger towers to support the pipes and making sure they pointed down to where we wanted the water to go. 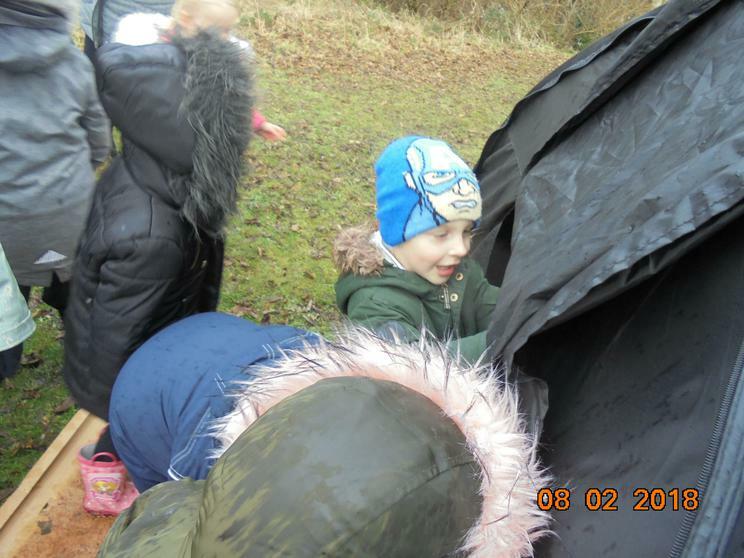 Logan shouted 'It's like a river and a waterfall'. 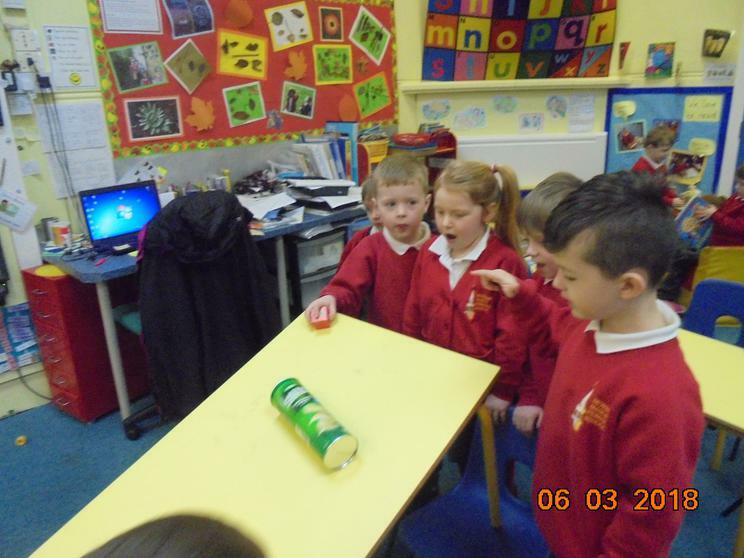 Miss Luke's team made the longest channel but Miss Morgan's team moved the most water. 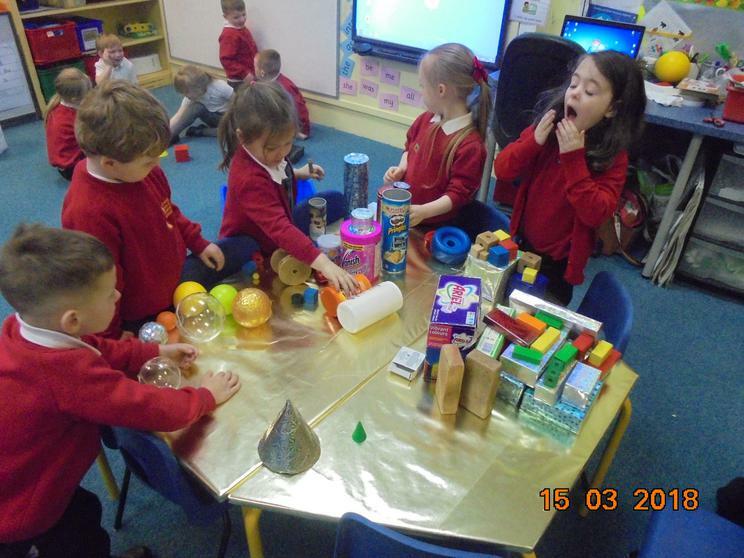 We have been reading 'Whatever Next' and thinking about space ships and rockets this week. 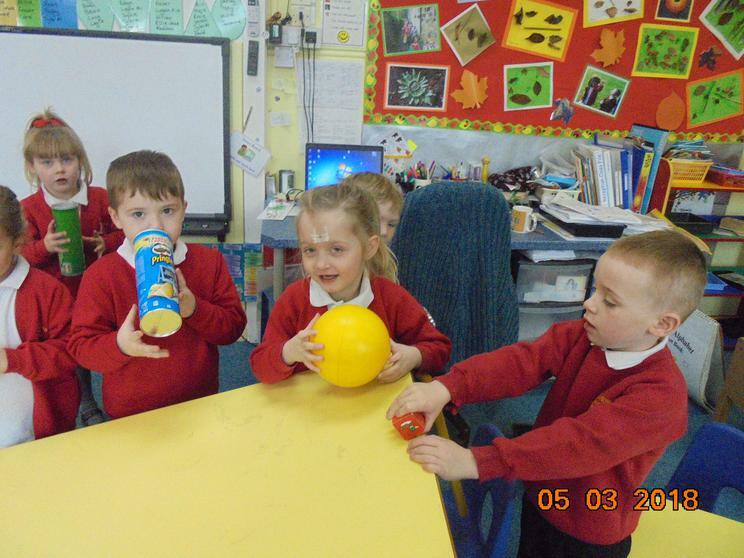 In the story Baby Bear goes to the moon in a cardboard box, we had a go at making some space ships with equipment from our outdoor store. 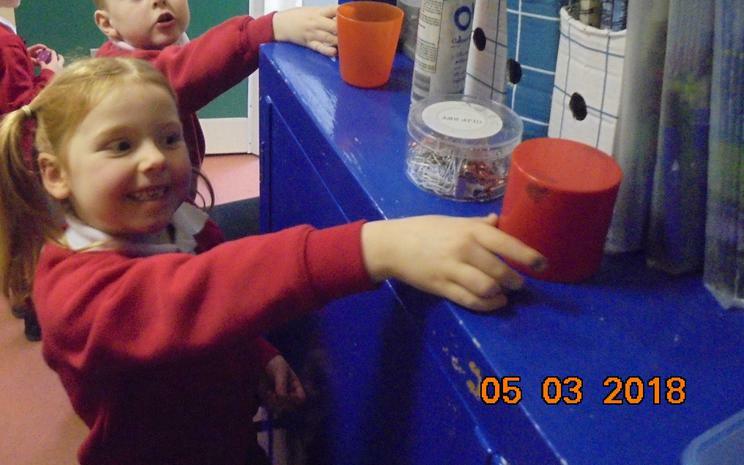 Hayden worked hard to make 'Doors that only let the good people through' and test them out with his friends. 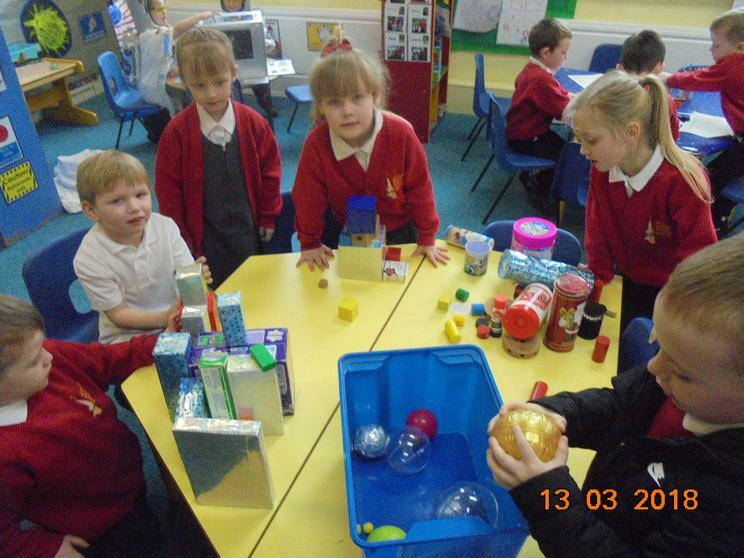 We have also been working in the space station role play in our classroom. 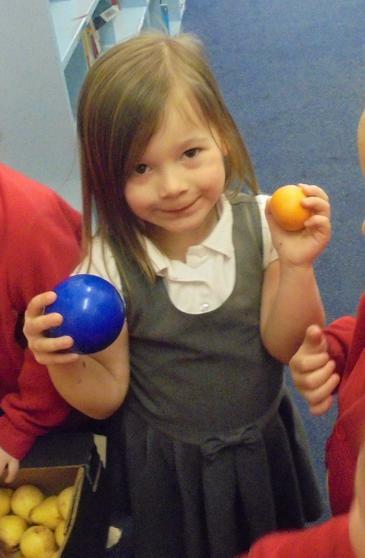 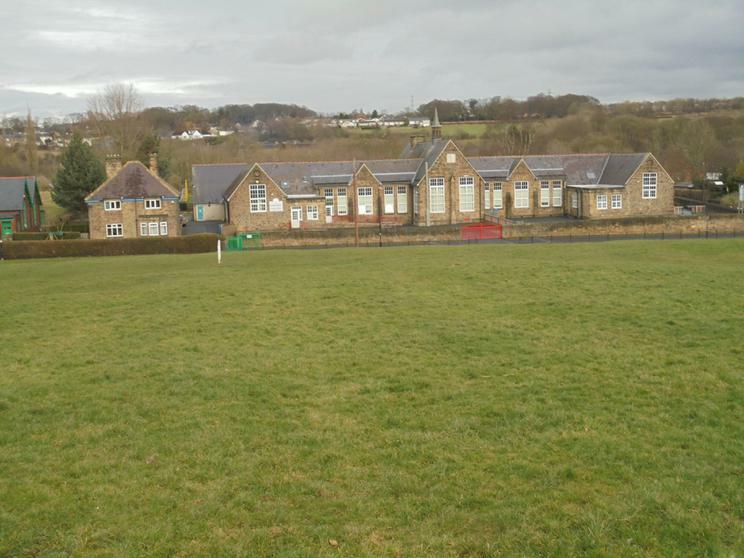 Since January we have been having PE sessions with Mrs Marshall, we have been learning to balance, jump, hop, run and change direction, throw carefully to a target using an underarm throw and demonstrate good listening. 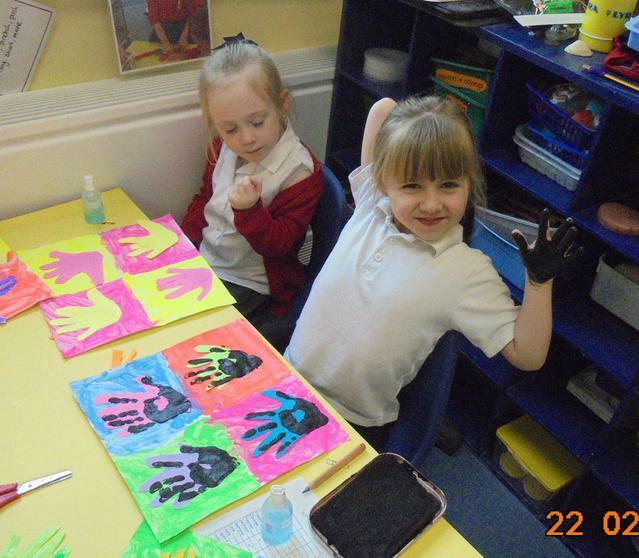 This week is art week, the whole school has been thinking about the Pop Art movement. 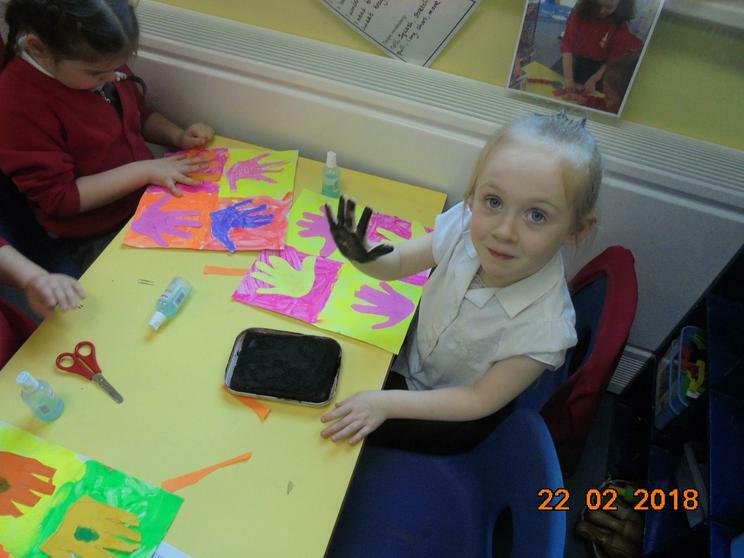 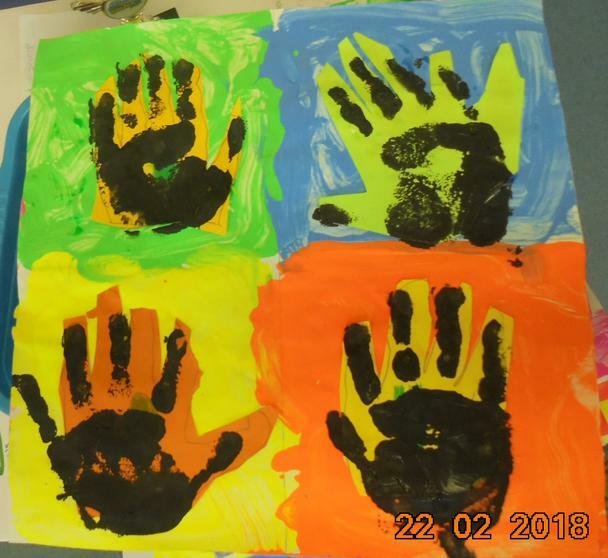 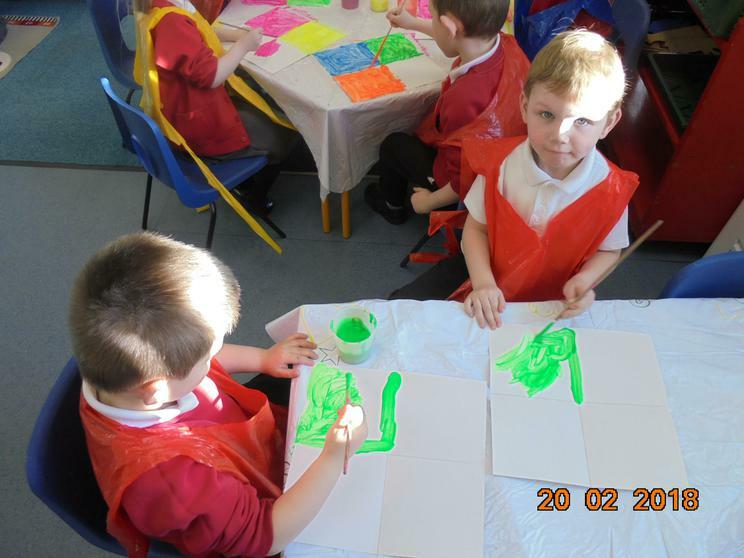 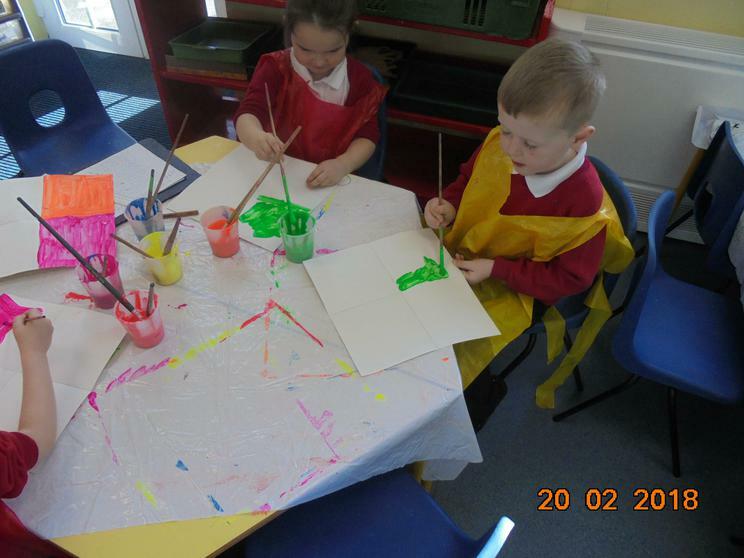 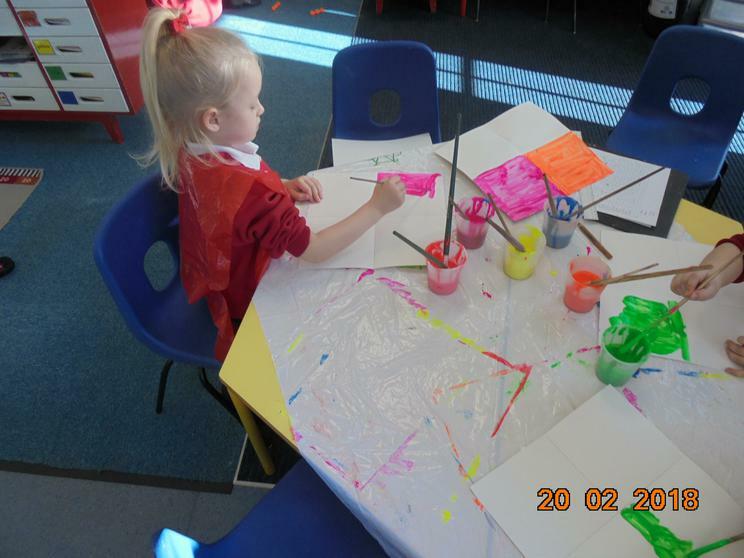 Reception took their inspiration from Andy Warhol's famous screen print of Marilyn Monroe, we used bright colours and repeating patterns to create our own art work. 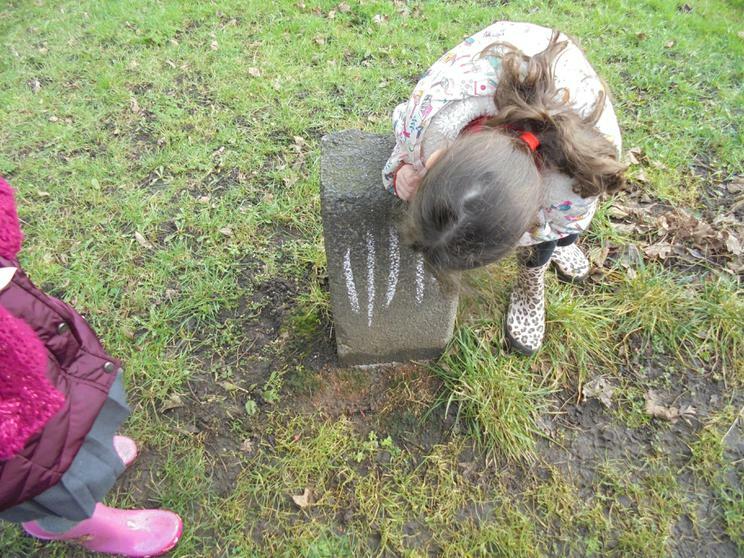 We have been working hard to learn the bear hunt story and to remember and write bear facts over this half term. 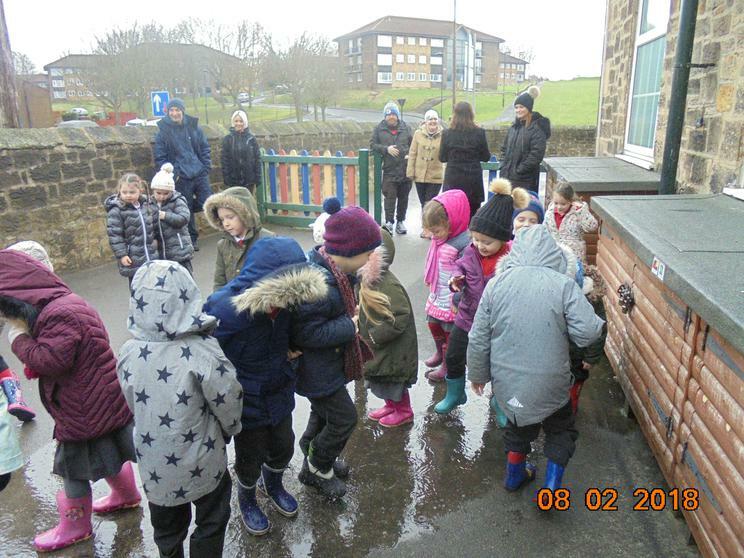 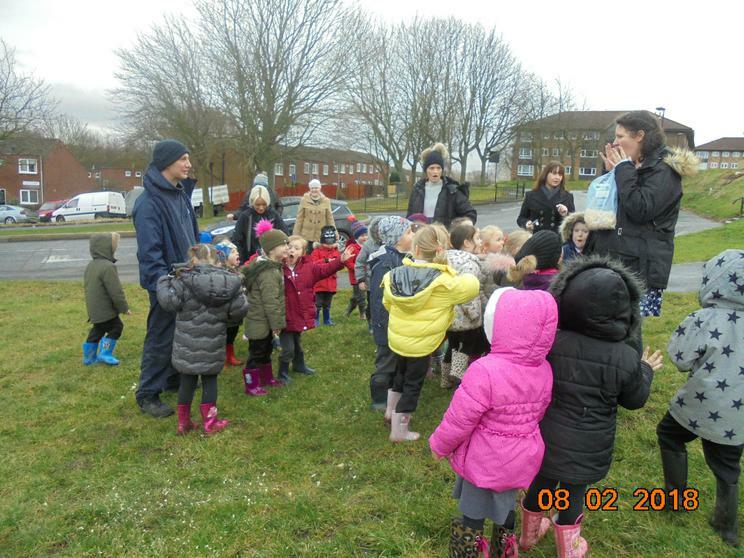 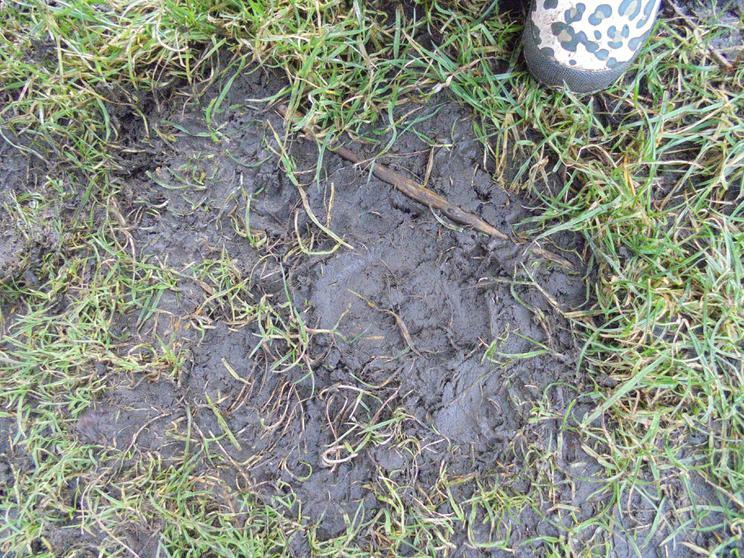 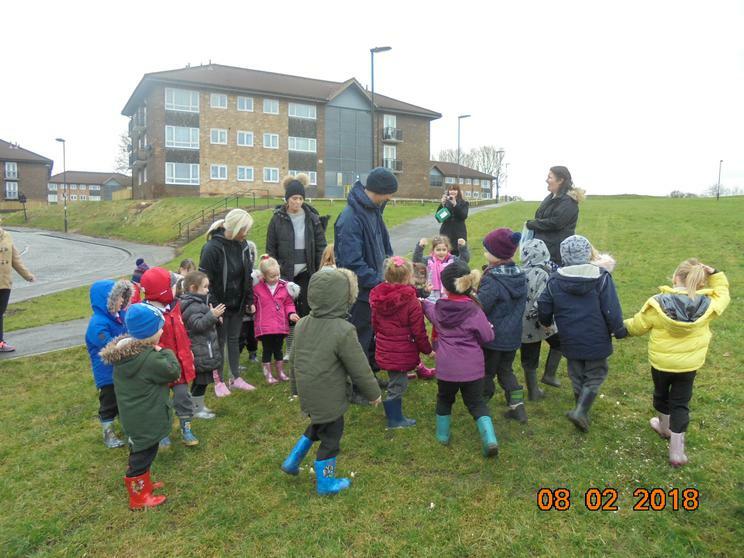 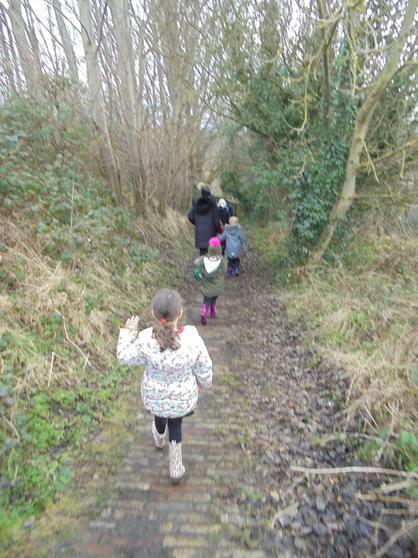 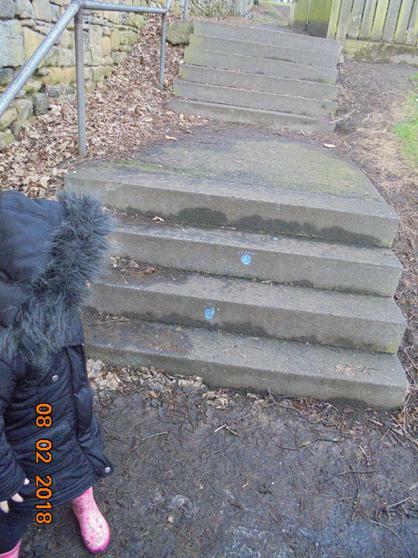 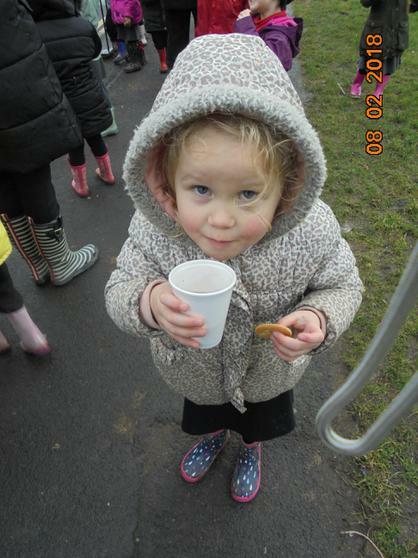 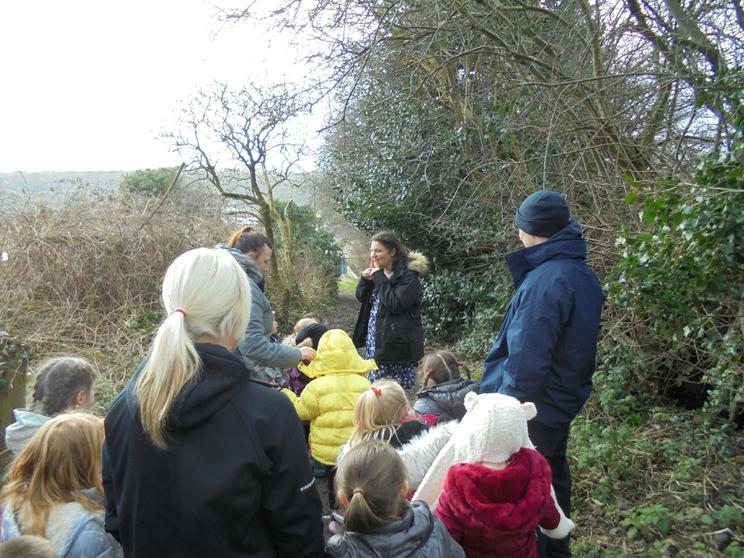 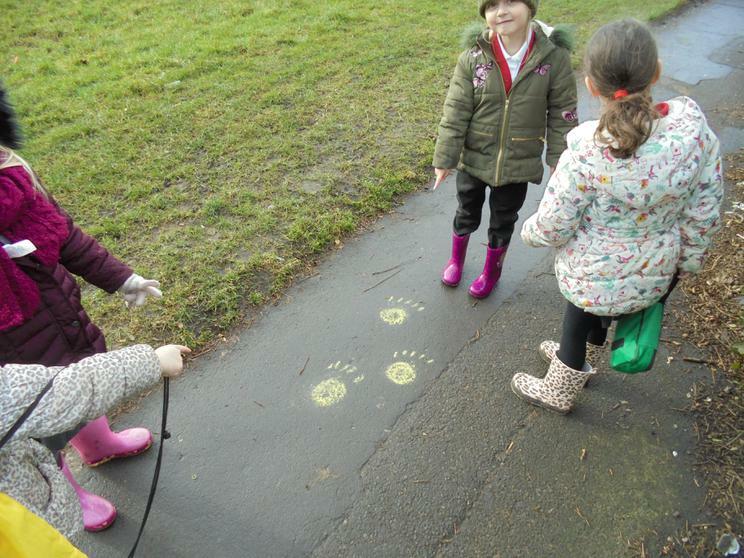 Today we went on a bear hunt around Newburn we looked for clues, followed the footprints all over and ended up back in our school grounds where Tiny Ted and the Book Corner bears were hiding in a dark tent. 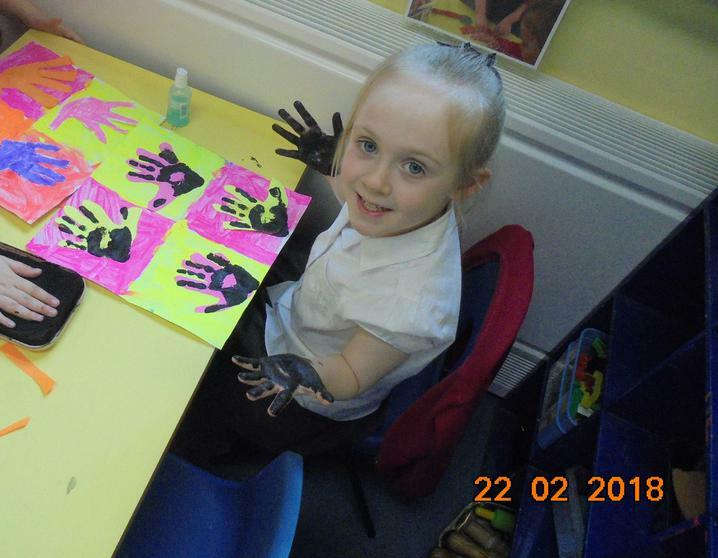 This week we are thinking about one less. 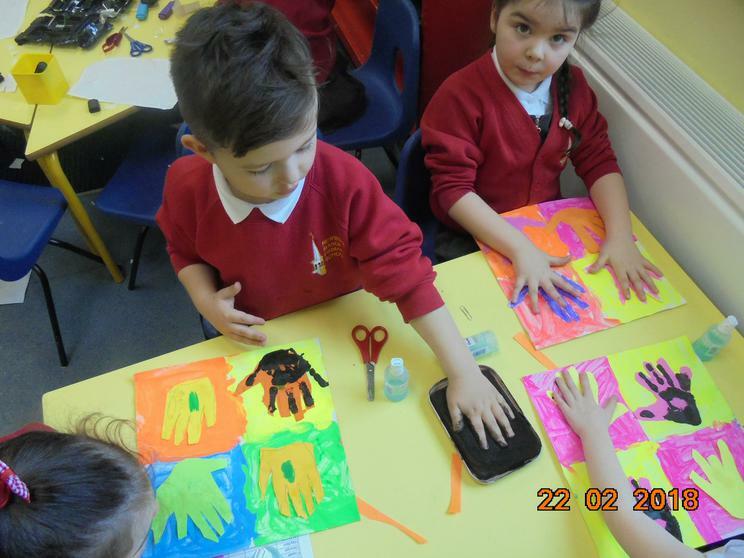 We have considered different ways of saying one less; take away one, minus one, subtract one. 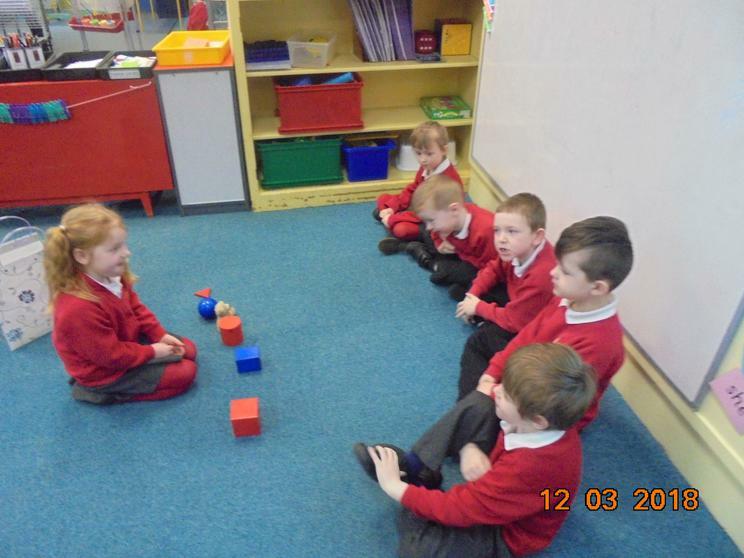 All of reception can build a tower of up to five unifix cubes and then remove one to say what one less is, some groups have been working to record these calculations using squared paper. 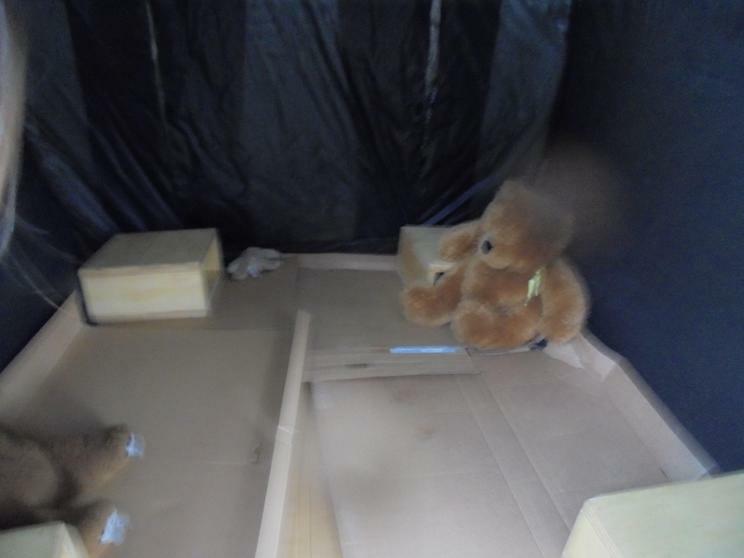 As our bear topic develops we have had some time to make caves, small ones for compare bears in the construction area and bigger ones in our class and on the field. 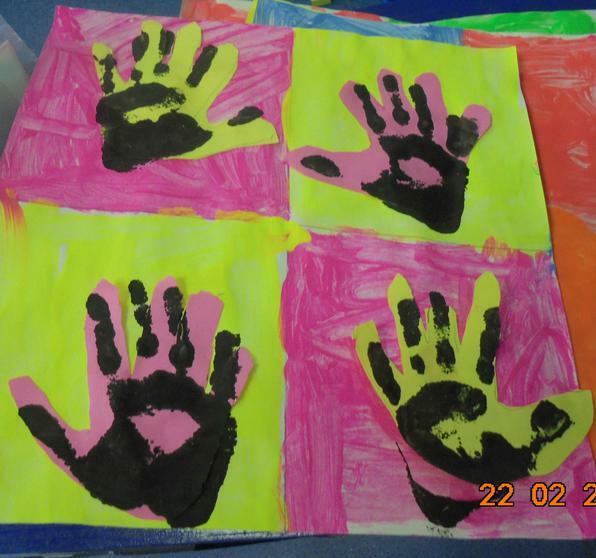 We had lots of fun and tried hard to work well together. 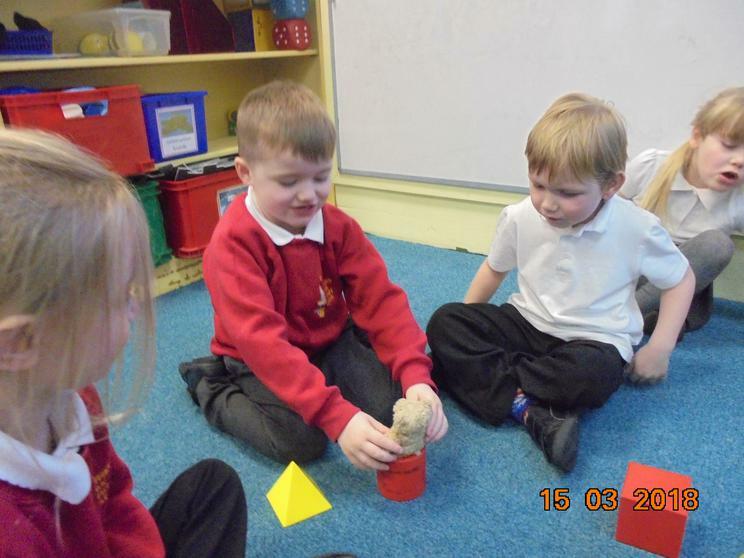 Tiny Ted has been hiding around our classroom this week, we are using specific and positional language to describe where he is. 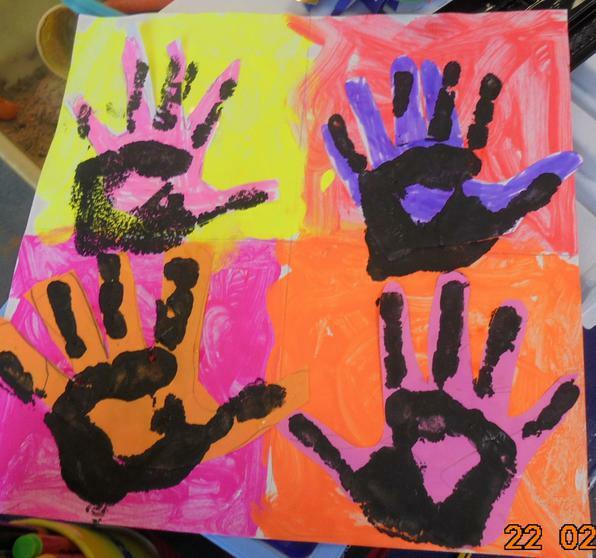 "Next to the rainbows", "Behind the spider webs", "On top of the clock". 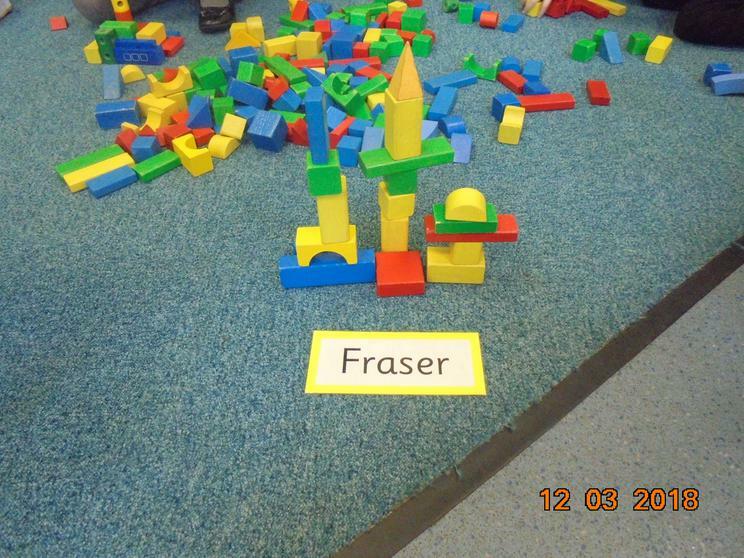 The first person to find him and use a descriptive sentence to say where he is gets a "Bear Hunter of the Day" sticker to wear with pride. 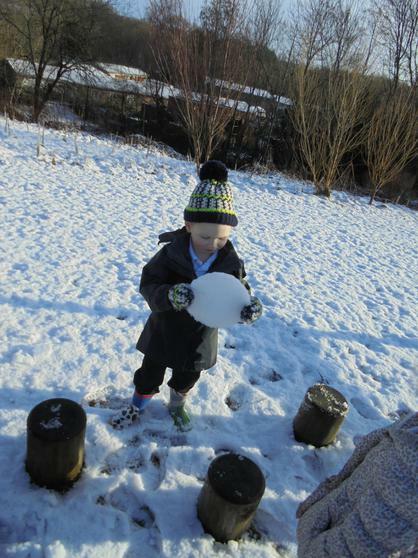 We went on another snowy walk this week but the snow was too frozen to make a big snowman. 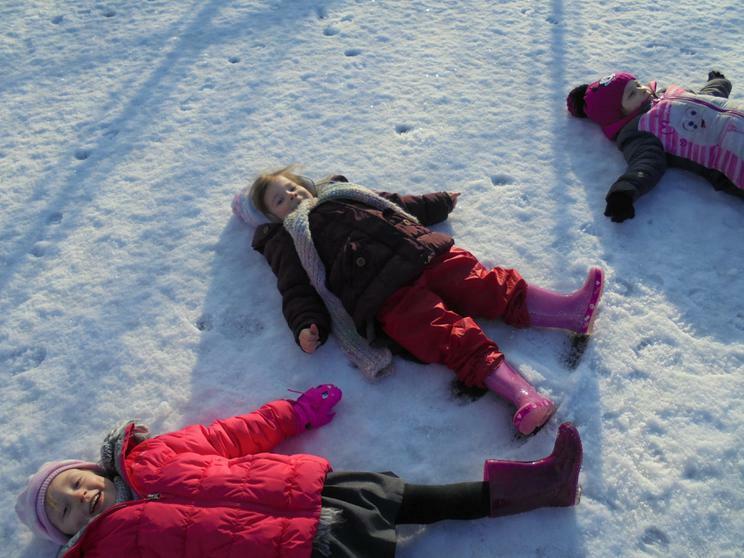 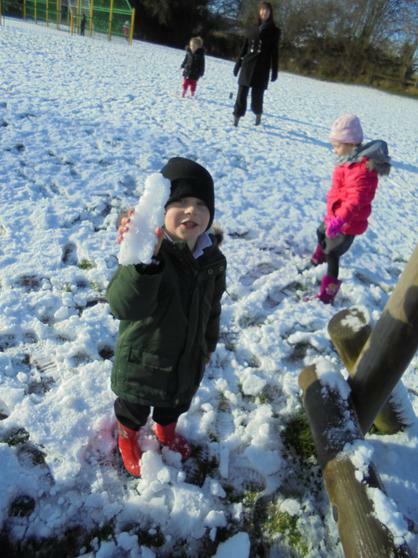 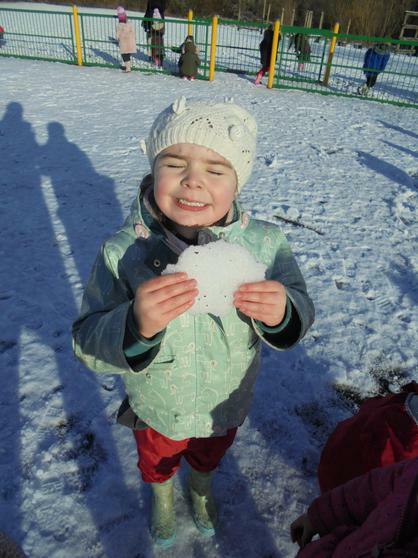 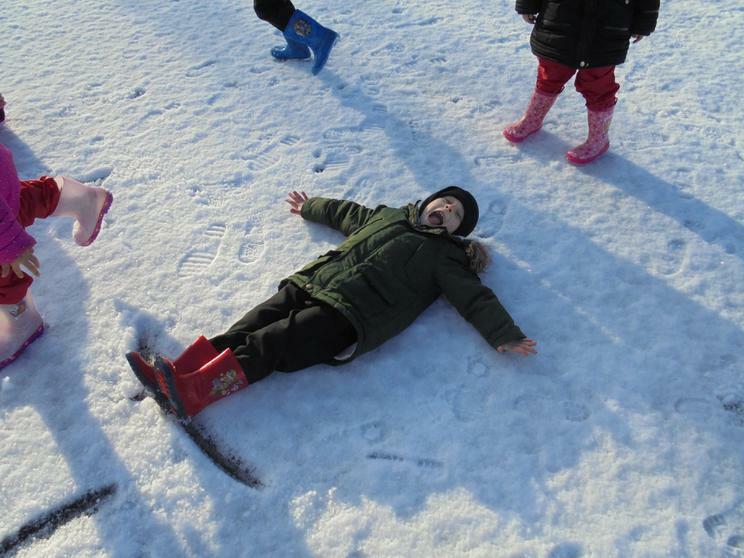 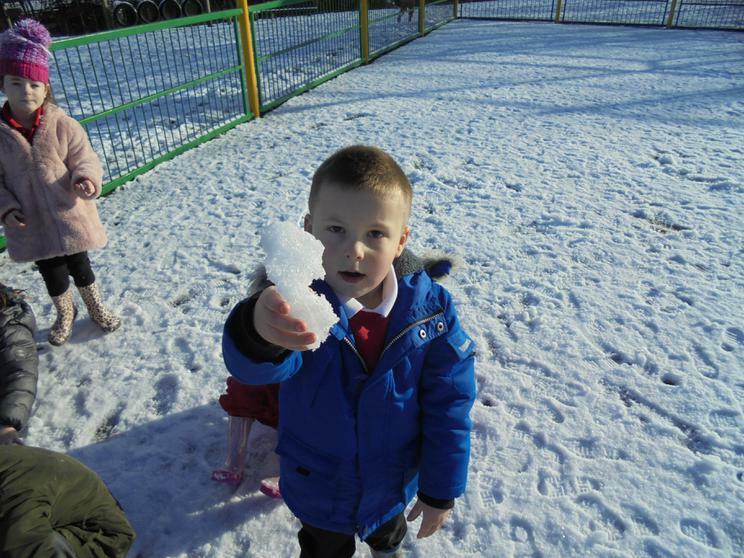 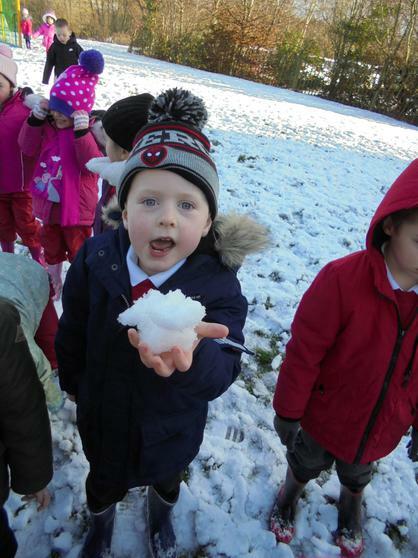 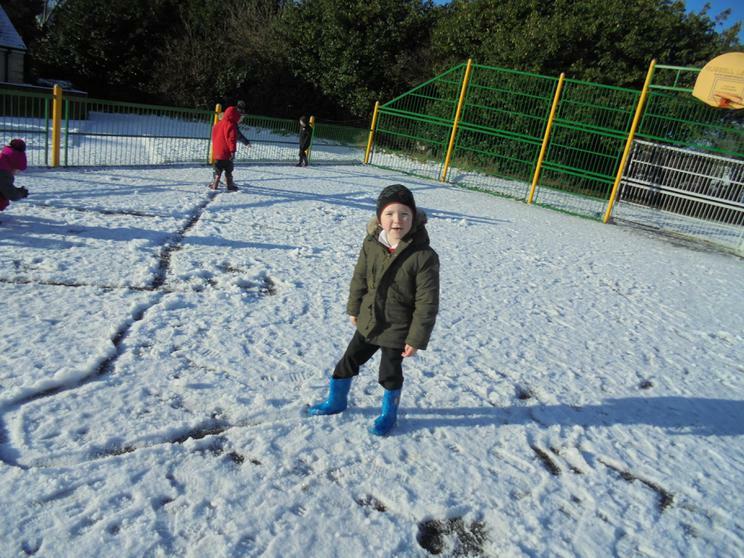 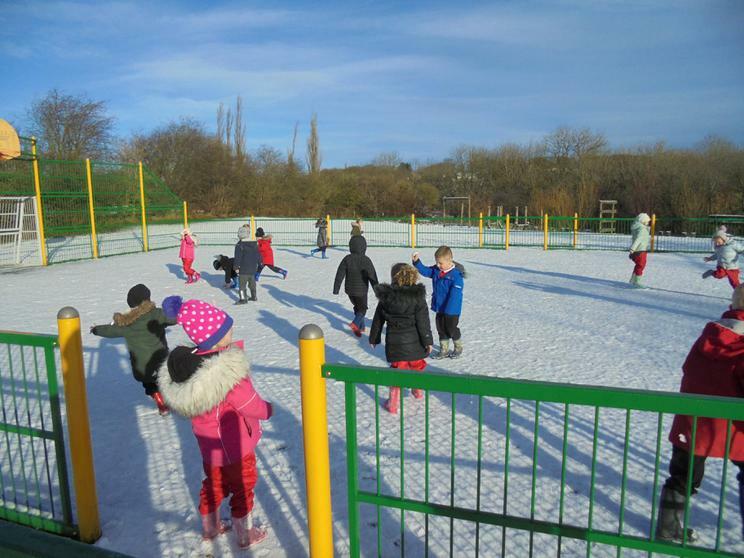 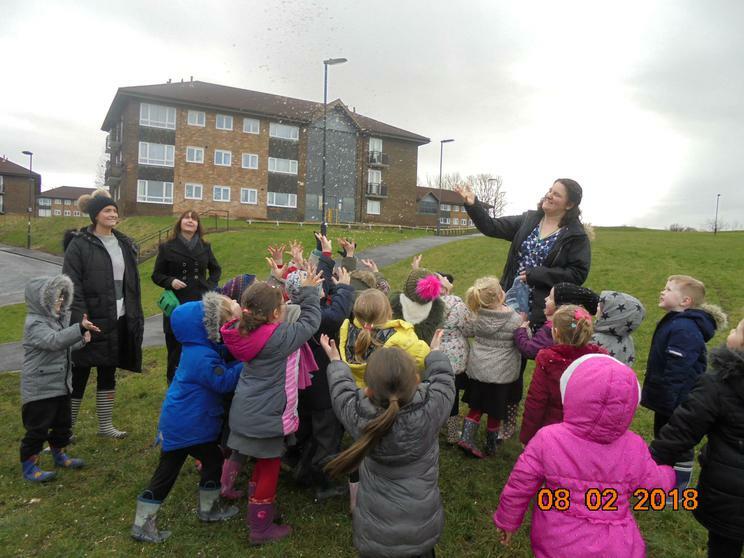 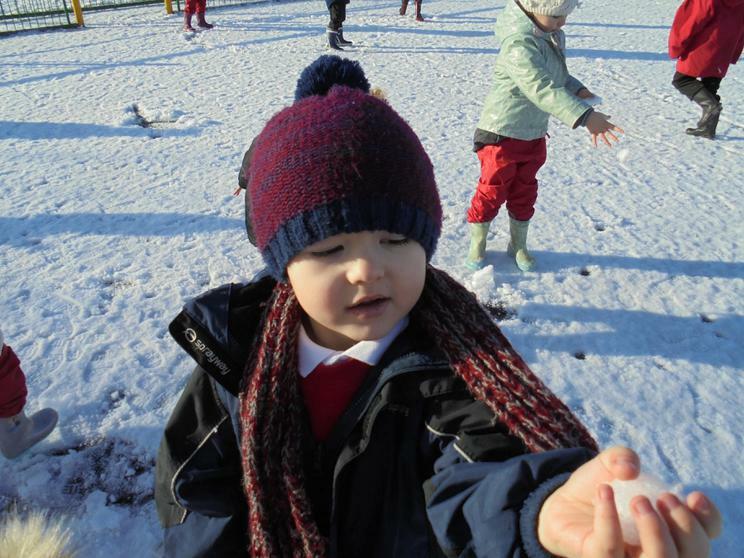 We did find different shapes frozen in the snow around the school grounds and had a good go at making snow angels. 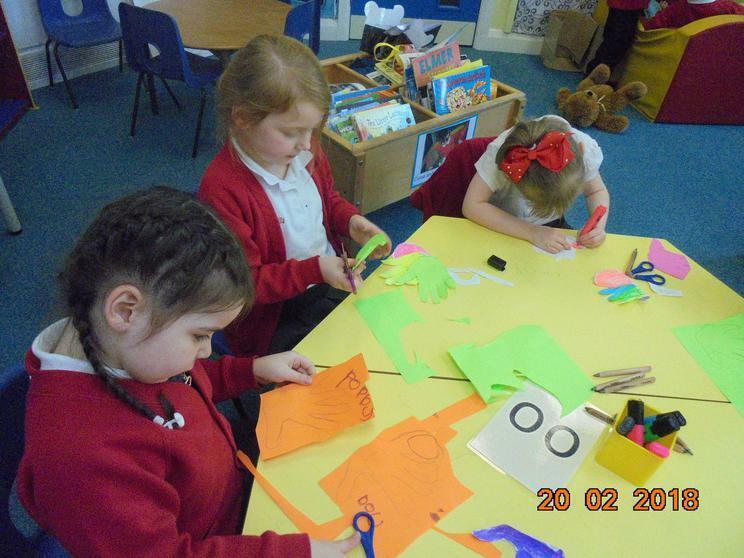 We will be reading lots of bear stories and singing bear songs as well as finding out facts about real bears. 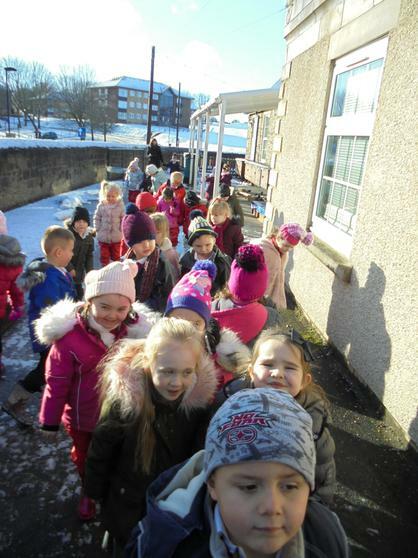 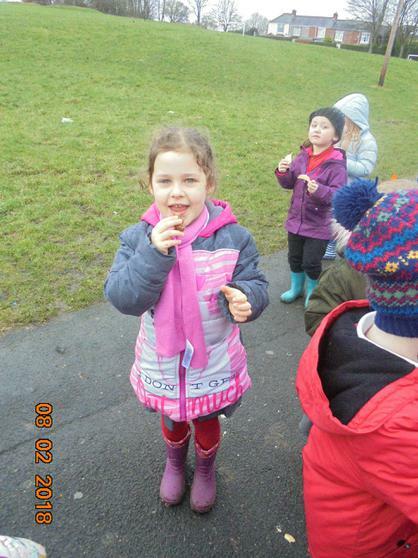 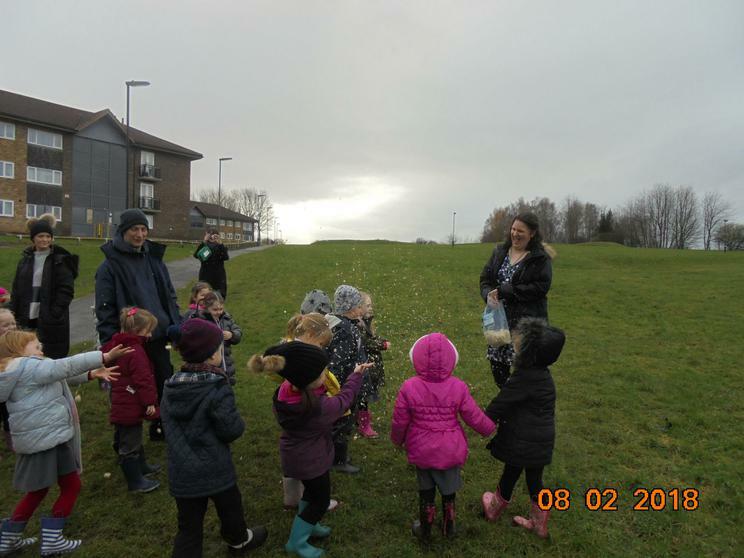 We will be learning to tell and change story ‘We’re Going on a Bear Hunt’.